I wasn't sure if I would like this book when I purchased it, but after the first chapter I was hooked. 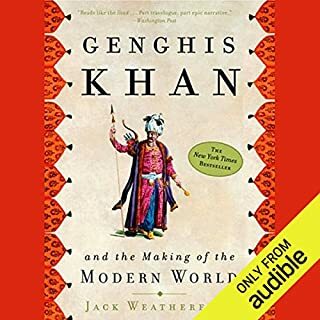 I knew that the Mongolians played an important part with intertwining east with west, after reading this it's hard to believe how the world would be with out Genghis Khan. Anyone with the tiniest once of curiosity should listen to this book.